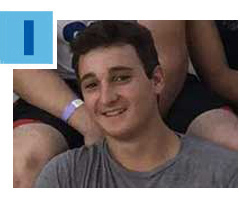 With great sadness, the Greater Miami Jewish Federation and our Jewish Community Relations Council join with the Greater Boston community to mourn the loss of Ezra Schwartz, z"l, who was viciously murdered on Thursday, November 19, 2015 by a Palestinian terrorist. Click here to read a statement sent out by the Combined Jewish Philanthropies of Greater Boston and its JCRC. After celebrating a day of giving thanks and being grateful for our blessings, it’s time to give back on #GivingTuesday, December 1, a global day of giving fueled by the power of social media and collaboration. Be part of the #GivingTuesday movement with a meaningful gift to the Annual Greater Miami Jewish Federation/UJA Campaign. Click here to make a donation and see a few ways your gift helps those in need 365 days a year in Miami, Israel and around the world. 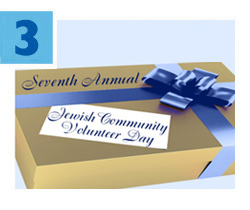 During the 2015 holiday season, hundreds of volunteers from Miami’s Jewish community will once again join together to make a difference and give the gift of meaning through the Seventh Annual Greater Miami Jewish Federation Jewish Volunteer Center (JVC) “Jewish Community Volunteer Day.” On Thursday, December 24 and Friday, December 25 volunteers of all ages are invited to participate in family-friendly activities that include preparing and serving meals, distributing toys, visiting sick patients and more at several local social-service agencies and health facilities. Sign up and learn more about available opportunities by clicking here. 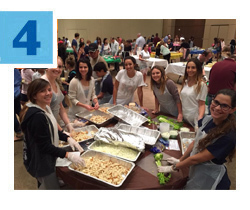 Hundreds of volunteers joined together to give back this Thanksgiving on Monday, November 23 in North Dade and Tuesday, November 24 in South Dade to lend a hand in preparing more than 1,500 servings of food for the hungry in South Florida. Sponsored by the Jewish Volunteer Center (JVC) of the Federation, the Seventh Annual “Everything but the Turkey” program provides side dishes, appetizers and all the fixings for a traditional Thanksgiving meal. 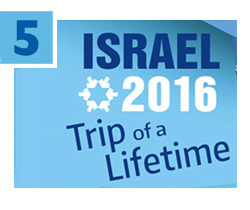 Show your solidarity with Israel on the trip of a lifetime, Federation’s Family Mission to Israel, June 16-23, 2016. Experience the beauty and history of our spiritual homeland, enjoy exciting outdoor activities and fascinating private tours, and share in a special B’nai Mitzvah celebration with your loved ones. It all awaits you this summer! For details, click here or contact Federation’s Missions Department at Missions@JewishMiami.org or 786.866.8436.